Issues with your download of "Lullaby for a Butterfly"? 1. After clicking "submit" on the payment form, you should have been redirected to a "Payment Confirmation" page. If you were not automatically redirected to this page, your payment did not process. Please click here to try again. 2. If you saw the Payment Confirmation page, your payment was processed and you were automatically sent an email to the address you provided on the form. 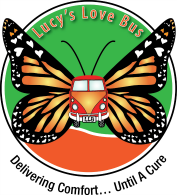 The email will appear to come from info or info@lucyslovebus.org. Please check your spam folder if it does not appear in your inbox within a few minutes. 3. If you received the email but are receiving an error message when you click the link, please fill out the form below and we will get back to you as soon as possible with a working link! 4. If you have any other issues, please fill out the form below and we will get in touch with you to sort it out. Which best describes the problem you're having? (Required) ----- I never received an email with my download. I received the email, but the link isn't working. Any additional info to share?